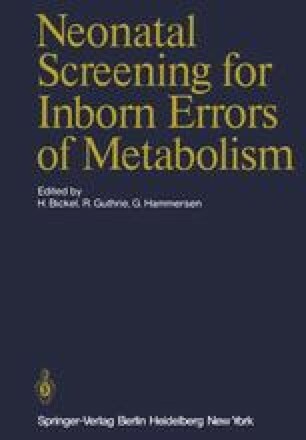 Since the last International Symposium on Neonatal Screening for Inborn Errors of Metabolism (Warsaw, 1972) much more information has been accumulated in well-established screening programs. New methods have been described and tested in limited areas, such as screening for hypothyroidism. On the other hand, many of us have deplored the fact that for some well-treatable metabolic diseases, such as fructose intolerance, no screening techniques are yet available. By stressing this fact in screening centers and symposia, methodical research may perhaps be guided in this direction. Just as important is the necessity to take from time to time a critical account of existing screening methods, ideally to come to some mutual agreement about their value for neonatal screening programs on a population-wide basis, and to set priorities where means and facilities are limited, as in most of our countries. In some areas, as in western Europe, national and supernational organizations, such as the British MRC Phenylketonuria Register, the European Council, and the European Community, are trying to coordinate regional screening programs on a wider national and supernational level. For such endeavours it would be desirable to attain a certain degree of international agreement on which methods and diseases should be recommended for screening.